Dental Assistants are an integral part of the dental team and help to keep the office running smoothly and successfully. Under the supervision of dentists, Dental Assistants are responsible for a wide range of tasks in the dental office, ranging from patient care to administrative duties to laboratory functions. The dental assistant position is the most flexible and varied in the dental office and requires a diverse set of skills: clinical, clerical, interpersonal, technological and more. 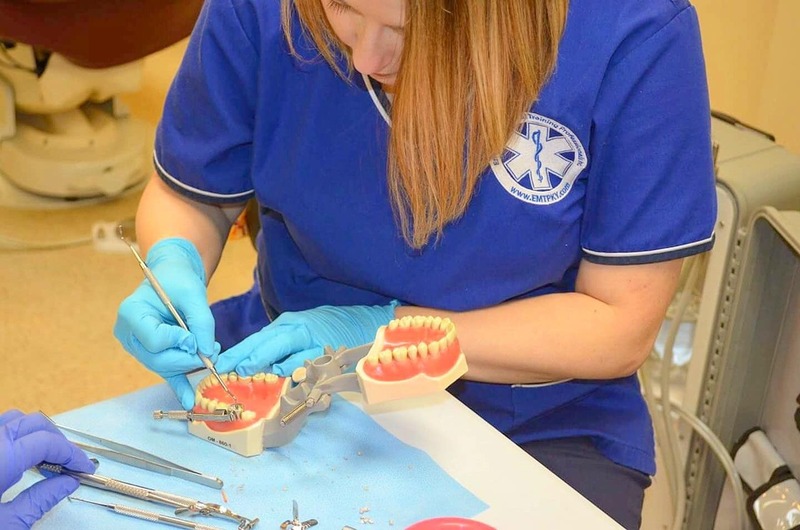 Dental Assisting is the perfect career choice for someone who wants to be in the dental field and in patient care. Upon completion of our Dental Assisting Program, you will have the knowledge and skills to start your career as a Dental Assistant. Weekday and Online hybrid options available. What’s Included in your dental assistant tuition?